There is a chance to get FREE Poise products again!! Have you taken my advise on getting those multiple Sunday newspapers? I sure hope so because you are going to save $15 this week! 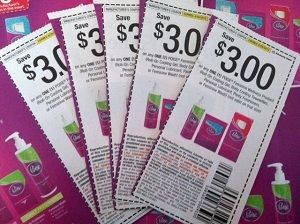 Look for your coupon for $3 off Poise coupon found in the 4/7 Smart Source to get Free Poise using the Poise deals I have listed. Coupon does not expire until 5/18! Poise At The Military Commissary: $.71 overage! Just this ONE coupon almost pays for an entire subscription to your Sunday newspaper. Max out your Sunday newspaper subscription to 5! Get Discounted Newspapers. If your paper is not listed see my Free Coupon Class page and come out to the local Las Vegas coupon class or one in your area to take advantage of the extra discount subscriptions there. Thank you Michelle at Military Wives Saving!